Greetings, all – it’s Dr. Hinson back with my 5 Friyays for this past week. It’s my first Friyays since tragedy struck my hometown of Pittsburgh. Writing this on the day of yet another mass shooting, it took some time for me to come up with my Friyays, but even in the dark, we have to seek the light, so here goes my list. 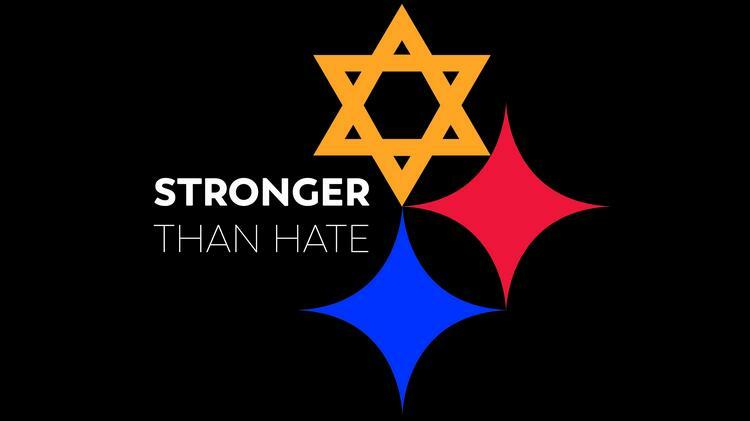 I live 10 minutes from the Tree of Life Synagogue. In the 10 years I’ve lived in Pittsburgh, I’ve driven past it 100 times. My brother lives in Squirrel Hill and I am constantly there – eating yummy food, going to great movies, attending craft fairs, getting pictures framed, buying records, you name it. It’s not where I live, but it is my community. The horrific events of October 27th changed a lot of things in our community, but one of the remarkable things it did was bring people together in a show of solidarity against hate and violence. Logos were made, t-shirts printed, fundraisers held, vigils and rallies and marches were attended by thousands of people. The Steelers logo morphed into something much bigger, the Penguins raised $209,000 for local charities during one game, and we mourned as a city. Every city has its problems, and Pittsburgh is far from perfect, but I have never been more proud to call it my home than in the last few weeks. Even when I woke this morning to more devastating news from Thousand Oaks, I was reminded that our collective humanity is stronger than all this hate, and death, and destruction, and our fundamental human instinct is to help not hurt. I want to share some wonderful advice from Pittsburgh’s own Mr. Rogers “When I was a boy and I would see scary things in the news, my mother would say to me, “Look for the helpers. You will always find people who are helping.”” Look for the helpers, that’s where our humanity lies, and if you are able, become a helper yourself, in any way you can. Since Dr. Donnelly and I are both advocates for gender parity and more, broader, diverse representation in all fields, I was over the moon at the number of women candidates elected to office during the Midterm election this week, from the House and Senate to many local races. It was also the first time in American history that more than 100 women were elected to the House. Just a reminder, that’s only 100 out of 435, so we’ve got a long way to go, but it was a massive gain across all political spectrums and identities! Full disclosure, I’m not an avid fan of the BBC show ‘Doctor Who’, but I did start watching it this season because for the first time in 37 years, they chose a woman to play the Doctor. Jodie Whitaker (whom you may know from the brilliant show ‘Broadchurch’) is phenomenal. From what I’ve gathered about the Doctor, its personality includes whimsy, sarcasm, curiosity and creativity, intellect, and compassion, all of which are displayed brilliantly by our Jodie. In this week’s latest episode, the time traveling Doctor quipped, “51’s a great number. That’s the number of Federalist papers written by Alexander Hamilton. I love that musical, I’ve seen all 900 casts.” The show is breaking loads of norms, having 3 companions (2 of which are people of color), as well as bringing in new voices to write for the show. You don’t have to love Doctor Who to love the show, but it’s probably best if you like Science Fiction. So starts the tagline for PBS’ latest venture ‘Native America’ a four-part series that takes the deepest dive into the history of the myriad of peoples that have populated the Americas. I have yet to watch the shows, but it comes highly recommended by my Dad, who is an avid history buff and highly intellectually curious person. We are all woefully uninformed about Native histories, stories, cultures, voices, and contemporary issues, and so the least we can do is spend a few hours educating ourselves. That’s all I’ve got for this week. Dr. Donnelly will be back next week – take care!